Houghton Mifflin Harcourt, 9780544706255, 336pp. 1991. Near Checkpoint Zulu, one hundred miles from the Kuwaiti border, Thomas Benton meets Arwood Hobbes. Benton is a British journalist who reports from war zones in part to avoid his lackluster marriage and a daughter he loves but cannot connect with; Arwood is a midwestern American private who might be an insufferable ignoramus, or might be a genuine lunatic with a death wish--it's hard to tell. Desert Storm is over, peace has been declared, but as they argue about whether it makes sense to cross the nearest border in search of an ice cream, they become embroiled in a horrific attack in which a young local girl in a green dress is killed as they are trying to protect her. The two men walk away into their respective lives. But something has cracked for them both. 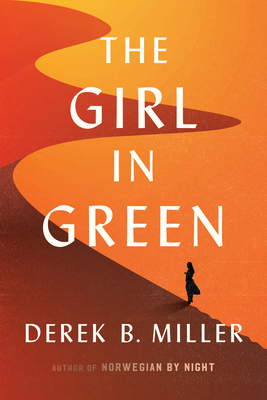 Twenty-two years later, in another place, in another war, they meet again and are offered an unlikely opportunity to redeem themselves when that same girl in green is found alive and in need of salvation. Or is she? One of Shelf Awareness' "Best Books of 2017"